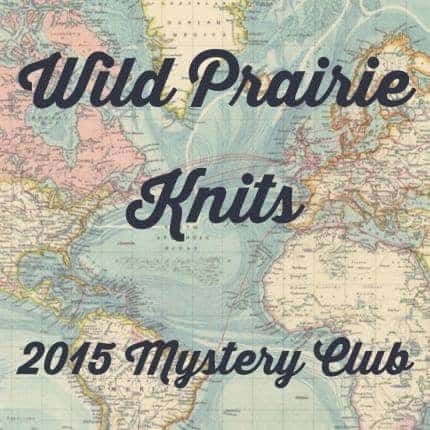 Join us for the 2015 Wild Prairie Knits Mystery Club. We had so many great ideas that this year we are offering two clubs, plus a bonus add-on Project Bag Club. Mystery Shawl Club — Similar to our 2014 Club, this club is all shawls. Five large shawls in four shipments over the course of the year. More details below. Mini Mystery Club — This 4 part club is accessories with challenging new techniques, such as colorwork, grafting, knitting in the round, etc. More details below. Project Bag Club — This add on option is also new this year. Bags in exclusive prints coordinated to your project colors and size will ship with each shipment. More details below. eBook Members — This year we will have two eBooks, one for Shawls and one for Mini Mysteries. You can purchase one or both. Come join us in all the fun as we travel the world.